Joshua spends his free time with his wife and two daughters, playing games with his family and friends and working on his small homestead just outside of Houston, TX. 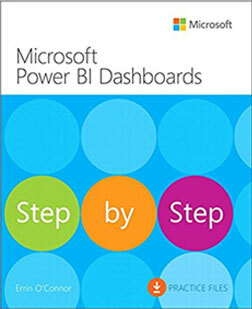 Whether you’re new to Power BI or you’ve already built Power BI dashboards, O’Connor supports you throughout your entire data journey, as you bring raw data to life through dynamic visualizations that deliver actionable intelligence for your entire organization. Get a team of senior-level SharePoint consultants by your side, helping you optimize your success throughout your entire SharePoint 2013 / Office 365 SharePoint Online initiative! 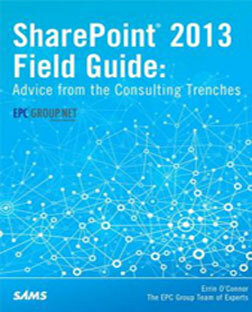 SharePoint 2013 Field Guide: Advice From the Consulting Trenches reveals how world-class consultants approach, plan, implement and deploy SharePoint 2013 and Office 365’s SharePoint Online to ensure its long-term success. 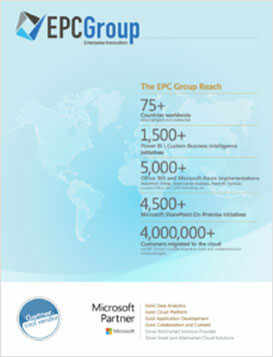 This real-world guide covers every phase and element of the process drawing from the success of EPC Group’s 1000+ SharePoint and Office 365 deployments. Dive in to Microsoft SharePoint Foundation 2010 and learn how to connect and empower your users. This in-depth reference packs hundreds of timesaving solutions, troubleshooting tips and workarounds in a supremely organized format. 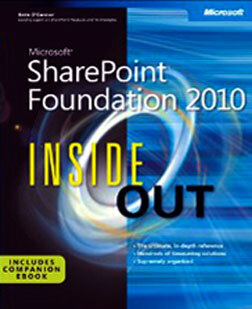 Discover how the experts tackle SharePoint Foundation 2010 and challenge yourself! Build team sites with no-code solutions, modify and share content with SharePoint lists and libraries. Learn how to development and implement governance policies to plan SharePoint’s site structure and how to design custom SharePoint solutions using the .NET framework. 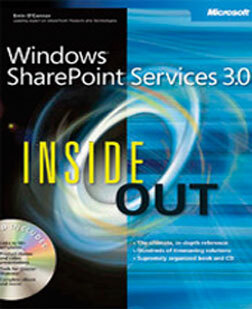 Learn everything you need to know for working with Microsoft Windows SharePoint Services Version 3.0–from the inside out! This book packs hundreds of time-saving solutions, troubleshooting tips and workarounds for using Windows SharePoint Services–all in concise, fast answer format. This information-packed complete reference shows you how to get the most out of Windows SharePoint Services. You will learn how to simplify information sharing, make team collaboration more efficient and improve your personal productivity. You’ll discover how to design workflows and projects for SharePoint sites, manage design teams and source control and use cascading style sheets to control site appearance. You’ll get to explore new features for using Windows SharePoint Services with blogs, RSS and wikis. You’ll even learn how to use Windows SharePoint Services with other products, including Microsoft Office Excel Services, Microsoft Office Project Server 2007 and Microsoft Visual Studio 2005 Team System.